WASHINGTON — Beto O’Rourke raised more than $6 million online in the first 24 hours after announcing his presidential campaign last week, according to his campaign, outpacing his rivals for the Democratic nomination and making an emphatic statement about his grass-roots financial strength. Mr. O’Rourke brought in $6,136,736 after declaring his long-anticipated bid with a web video and trip to Iowa on Thursday morning, raising the sum entirely online and from all 50 states, the campaign said. Mr. O’Rourke’s money will, at least for now, quiet some of those skeptics: In a single day online, he raised nearly a quarter of what Barack Obama, then a senator, did in the entire first quarter of 2007. Now the question is whether he can sustain that level of support. Mr. Sanders raised his first $10 million quickly in February, much of it in small contributions. There is no way to independently confirm either candidate’s initial contributions; Mr. O’Rourke, Mr. Sanders and the rest of the presidential hopefuls must file fund-raising reports at the end of March. Those first-quarter filings will be made public on April 15. Few other candidates trumpeted their initial financial success, in part because they knew that Mr. Sanders would tap into his loyal network of support from his 2016 presidential race and post a large figure. The campaign of Senator Kamala Harris of California, however, did say she raised $1.5 million in the first day after announcing her candidacy in January. Mr. O’Rourke’s aides would not say what their average contribution was or how many total donors contributed within the first 24 hours of his bid. As in his Senate race, he did not accept any money from political action committees. 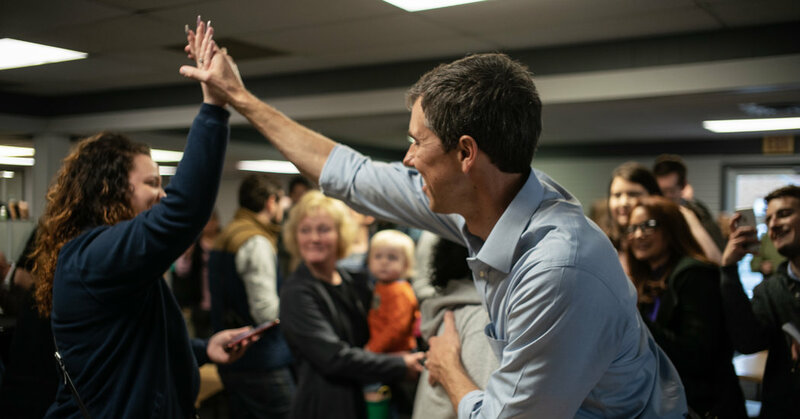 After announcing his candidacy, Mr. O’Rourke spent three days in Iowa, focusing on counties President Trump carried in 2016, before heading to Wisconsin, part of a multistate Midwestern tour. September 23, 2018 Comments Off on Will organic revolution boost farming in India?